Polarity therapy is a holistic, energy-based system created by Dr Randolph Stone that includes bodywork, balanced nutrition, movement based on the elements, and lifestyle counseling for the purposes of restoring and maintaining proper energy flow throughout the body. 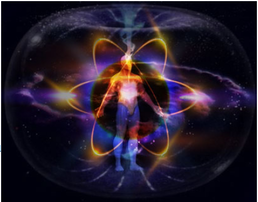 The underlying concept of polarity therapy is that all energy within the human body is based in electromagnetic force and that disease results from improperly dissipated energy. This treatment may be effective to promote health and healing to anyone willing to embrace the appropriate lifestyle.Polarity therapy is reportedly effective for anyone who has been exposed to toxic poisons. Likewise, HIV-positive individuals may find comfort in polarity therapy. Additionally this is an appropriate therapy for relieving general stress,back pain, stomach cramps, and other recurring maladies and conditions.